Finison traces the city's cycling history, chronicling the activities of environmental and social justice activists, stories of women breaking into male-dominated professions by becoming bike messengers and mechanics, and challenges faced by African American cyclists. 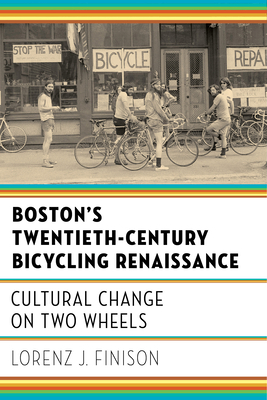 Making use of newspaper archives, newly discovered records of local biking organizations, and interviews with Boston-area bicyclists and bike builders, Boston's Twentieth-Century Bicycling Renaissance brings these voices and battles back to life. Lorenz J. Finison is a founding member of Cycling Through History and author of Boston's Cycling Craze, 1880--1900: A Story of Race, Sport, and Society.